Passion. Vision. Precision. Perfection. This is the standard by which Daniel lives and breathes. Internationally renowned as a leader in his field and a source of inspiration and education among his peers, Daniel has gained recognition as one of LA's most sought after men's hair stylists. His attention to detail and devotion to his craft are unparalleled. Daniel is known for his versatility and ability to create both classic, refined styles, while constantly evolving to satisfy today’s artistic, more cutting edge looks.  Hailing from the Bay area, Daniel Alfonso started cutting hair in his parent’s garage and immediately gained a loyal following among his friends. Knowing that this was his true calling, he pursued a career in hair dressing. After earning a full cosmetology license, he discovered that his true niche was in men’s hair styling. Though many people refer to him as a "barber", Daniel’s skills and pedigree classify him as a true men’s hair stylist. He soon evolved into an expert in the field of social marketing skilled in all aspects of men’s grooming and style.